Blend cauliflowers with Montasio, cream milk, eggs and add salt to taste. Grease molds with butter, pour the mixture and bake in oven at 180°-in a water bath-for half an hour, cover the molds with foil and bake for thirty minutes more. To prepare the Montasio sauce: melt butter; add flour, hot milk and fresh Montasio in cubes as last. 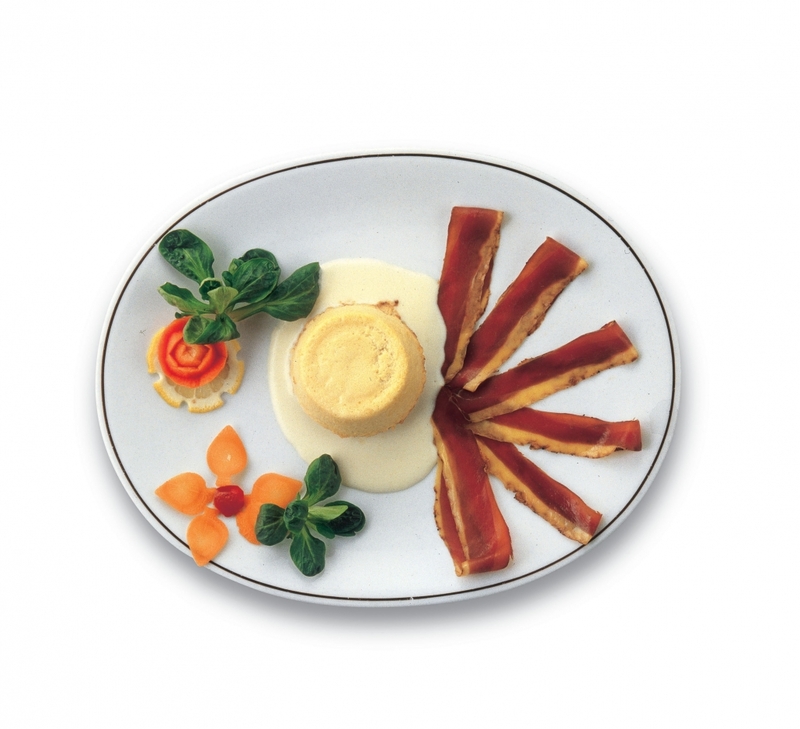 Take flans out of the oven and lay them on a hot plate, garnish with the Montasio sauce and small slices of smoked goose speck. Serve hot.